Pasternak, Yaroslav [Пастернак, Ярослав], b 2 January 1892 in Khyriv, Staryi Sambir county, Galicia, d 30 November 1969 in Toronto, Ontario, Canada. Archeologist; full member of the Shevchenko Scientific Society (NTSh) from 1929. He studied archeology at Lviv University (1910–14). He continued his studies and obtained a doctorate at Charles University in Prague (1922–6). He worked at the National Museum in Lviv (1913–14) and the State Archeological Institute in Prague before becoming the director of the Shevchenko Scientific Society Cultural-Historical Museum in Lviv (1928–39). He also lectured at the Greek Catholic Theological Academy (1932–9 and 1942–4). During the first Soviet occupation of Western Ukraine (1939–41) he was a professor at Lviv University and a member of the Institute of Archeology of the Academy of Sciences of the Ukrainian SSR. He emigrated to Germany in 1944 before the second Soviet occupation. While in Ukraine and Czechoslovakia Pasternak took part in over 60 archeological expeditions, the most important being in princely Halych (1939–41). He published three studies about the prehistory of Western Ukraine—Ruske Karpaty v archeologii (The Archeology of the Ruthenian Carpathians, 1928, based on his diss [in Czech]), Korotka arkheolohiia zakhidno-ukraïns'kykh zemel' (A Brief Survey of Western Ukrainian Archeology, 1932), and Staryi Halych: arkheolohichno-istorychni doslidy u 1850–1943 rr. (Old Halych: Archeological-Historical Studies in 1850–1943, 1944)—and numerous scholarly and popular articles in Ukrainian, Czech, German, and Polish. In Germany he lectured at Friedrich Wilhelm University in Bonn (1946–9) and the Ukrainian Free University in Munich. He emigrated to Canada in 1950, where he remained active in scholarship and publishing. 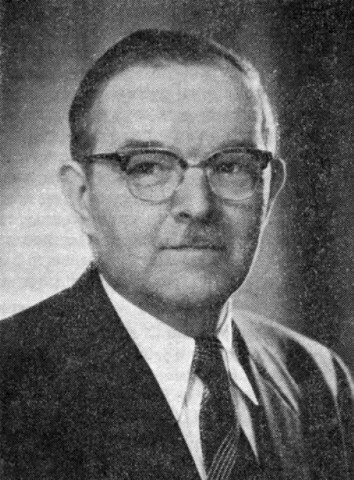 His major undertaking there was a survey, Arkheolohiia Ukraïny (The Archeology of Ukraine, 1961), in which he wished to provide a synthesis of the archeology of Ukraine to date and to challenge Soviet (and Western) interpretations in the field. A complete bibliography of his works by I. Luchkiv, listing 290 titles in archeology, regional studies, history, ethnography, and museum studies, appeared in Iuvileinyi zbirnyk naukovykh prats' z nahody storichchia NTSh i dvadtsiatypiatyrichchia NTSh u Kanadi (Jubilee Collection of Scholarly Works on the Occasion of the 100th Anniversary of NTSh and the 25th Anniversary of NTSh in Canada, 1977).